You’re living in a defeated land, war-torn and occupied by enemies. It’s freezing cold, homes are reduced to rubble, fuel is sparse, and there’s never enough to eat. Not for the locals, anyway. The occupying forces have arranged generous rations for themselves, as well as roofs over their heads, and lavish balls and cocktail parties at military bases and embassies. One of the partygoers is the narrator of The Dancing Bear, Frances Faviell’s autobiographical account of living and working in Berlin in the years immediately after World War II. She’s a teacher, an artist, and the wife of a British government official. She has no illusions about the sufferings of the starving, barefoot German children peering through the windows of the Officers’ Mess while the Allies eat, drink, and make merry. But neither has she any doubts of the evils of Nazism, and the importance of its defeat by Britain, the USA, France and Russia, whose soldiers and diplomats now jostle uneasily together in Berlin, seeming sometimes to be squaring up for a new war of their own. She forms a friendship with a local family, the Altmanns: the father was once a successful banker, but the bank has now collapsed, taking the family savings with it. The teenage son, erstwhile member of the Hitler Youth, declines to work for the occupiers, and refuses ‘denazification’ – the process under which former Nazis must identify themselves, pay fines and destroy any Nazi uniforms or other paraphernalia. He prefers to head east and join the communists. 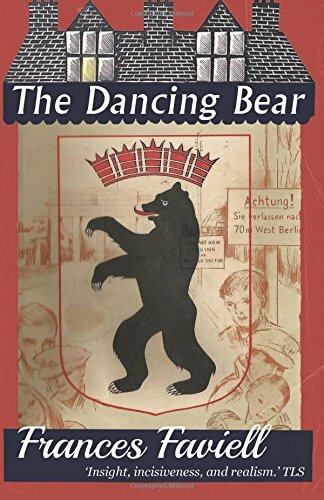 Meanwhile, breadwinning duties fall upon Frau Altmann, whose fluent English allows the book’s narrator to find her a teaching job, and the daughters who move among the Allies, providing domestic and sexual services. One daughter, a talented dancer, dies of a botched abortion.